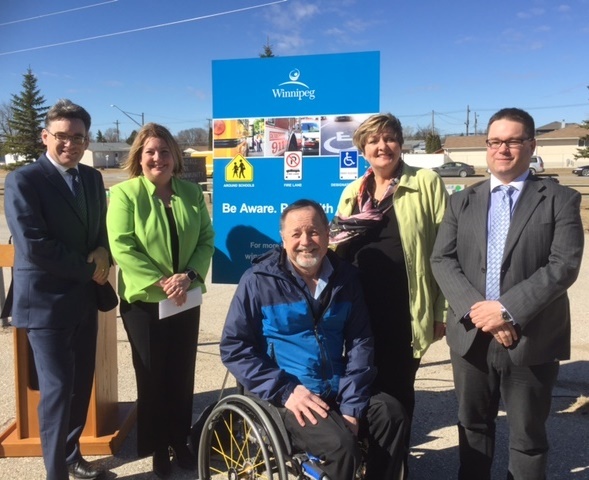 Today, I joined City Council colleagues, the Winnipeg Fire Paramedics, Access Advisory Committee and the Winnipeg Parking Authority to launch the “Be Aware. Park with Care” awareness campaign! Illegally parked vehicles during school pick up and drop offs create serious safety hazards for children and cause traffic delays. Fire lanes which are clear of vehicles ensure first responders can quickly access emergency situations. Designated parking spaces are reserved for persons with a physical disability and a properly displayed current permit. Persons with disabilities rely on the availability of designated parking spaces to ensure accessibility and proximity to buildings. For many years prior to being elected, I worked on improving safety around schools. Quite honestly, I was shocked at the number of parking violations that occurred and am pleased to see this new level of enforcement put in place. I am very supportive of any effort to keep our children safe, fire lanes open and parking available for people with a disability. On August 8, 2016, The Municipal Bylaw Enforcement Act (MBEA) was proclaimed by the Province of Manitoba and allows a penalty notice (ticket) to be delivered by mail vs placing a paper copy on a windshield. Beginning May 1, 2017, the Winnipeg Parking Authority will be using cameras in their vehicles to capture violations vs the traditional paper tickets. Tickets will be mailed to the registered owner of the vehicle. All parking tickets can be paid online, by mail or in person at the Winnipeg Parking Authority. If you would like to have your parking ticket reviewed, one option is to visit the Winnipeg Parking Authority office at 495 Portage Avenue and ask to have your ticket reviewed by a screening officer. You can also have a screening conducted online. Review of your ticket by a City screening officer is free of charge. Again, I’m fully supportive of the Winnipeg Parking Authority to now use cameras to enforce parking infractions around school grounds, fire lanes and designated parking, and to be able to mail tickets. This increases both efficiency and compliance and will improve the level of safety overall in our community. 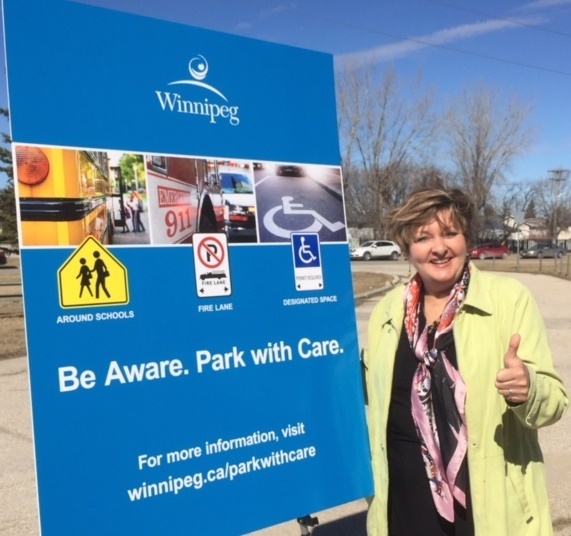 For more information, see the links below or visit winnipeg.ca/parkwithcare.